It took a while to complete this article, and you will understand later why we didn’t publish it immediately after our Go Global Mission to Berlin. At the end of the summer of 2018, a couple of Belgian IoT startups gathered at Brussels Airport to start their trip in Berlin. Birgit Everaert and Johnny Waterschoot, both part of The Factory, joined them towards the German capital. 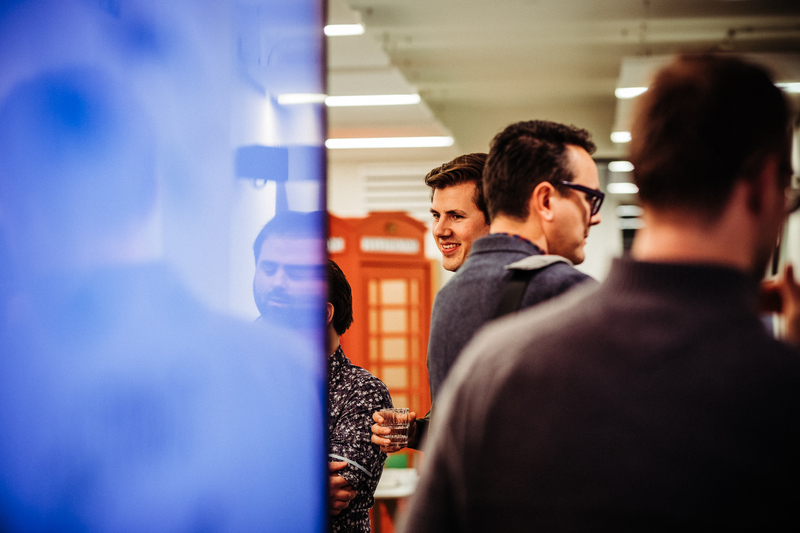 The group of startups was very diverse: most of them already passed their seed funding phase and were ready to scale their company to the German market, other startups of an earlier growth stage initially participated just to get inspired by the IoT hub that is Berlin. The EYnovation™ team was very aware that personal, tailor-made matchmaking was key to make this mission a success. That is why we called in the support from a local contact, Maren Lesche, founder of Startup Colors and expert in startup matchmaking. 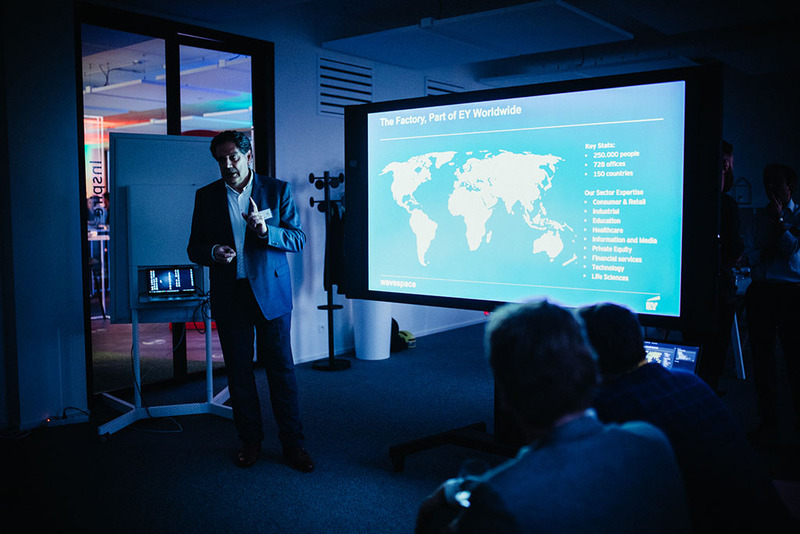 We started our journey at the EIT Digital offices, where Dominik Krabbe gave us an overview of what IoT startups can expect when they enter their acceleration program. In the same building, that is the Technische Universität, we met with Jesica Manthey and Marc Struyvelt, the local ambassadors of Flanders Investment and Trade. They shared their experience about living in Berlin and doing business in Germany, which is not always that easy. As a startup, it’s really tempting to open an office in hipster town Berlin. Nevertheless, potential clients are often settled in the industrial sites of Hamburg, Munich or Frankfurt. Startups, especially IoT startups, have to make a choice: stay close to their prospects and big corporations, or be embedded in the creative hub of the country, close to other startups. With that dilemma in mind, the delegation walked towards one of Berlin’s most inspiring female tech entrepreneurs Lisa Lang, founder of ElektroCouture. We visited her workspace where she and her team create and co-create FashionTech projects. She integrates cutting-edge technology into her clothes to make them sustainable, practical and digital. 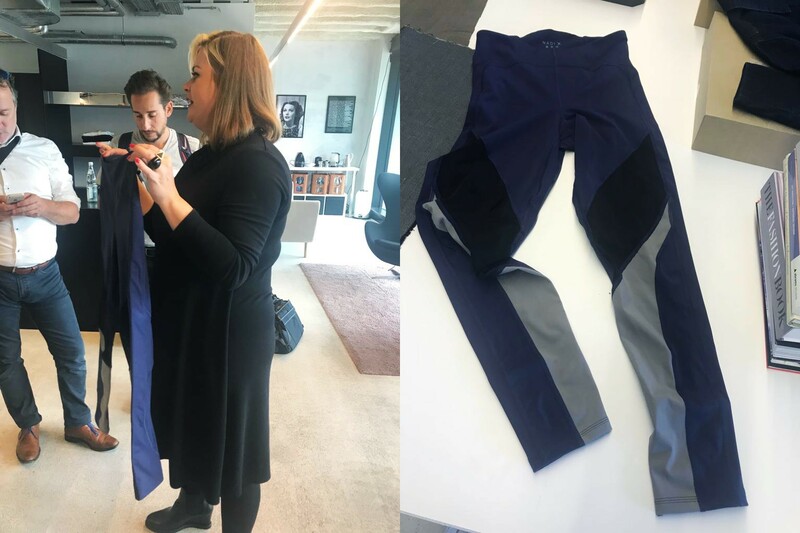 From road-safety garments to yoga pants that correct your yoga positions, Lisa Lang amazed our startups with her inspiring vision in how tech can improve every-day life. We finished the first day with a cosy get-to-know-each-other dinner. We kicked off day 2 with a visit at the Etventure offices. Etventure has been acquired by EY Germany and runs the brand new wavespace in Kreuzberg that opened in November this year. 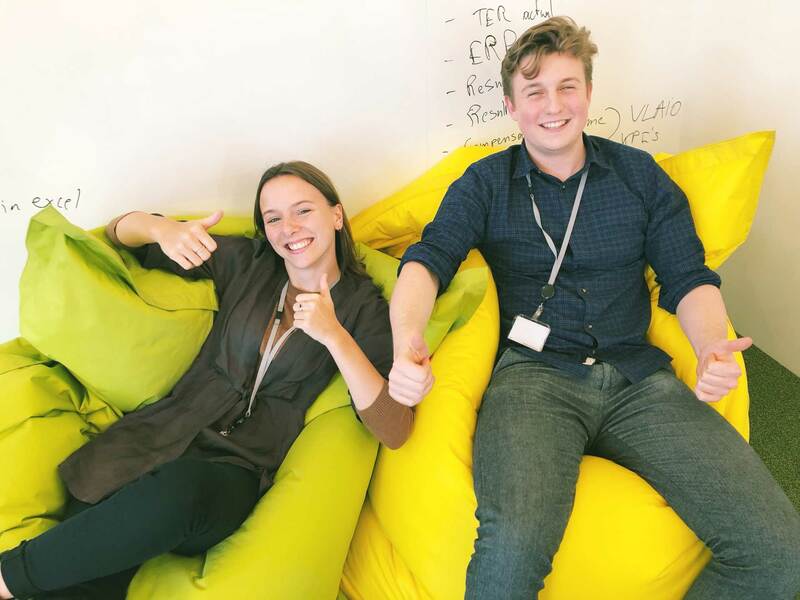 Etventure, like The Factory, wants to connect promising startups with corporations and stimulate co-creation tracks and partnerships. Afterwards, we headed to Next Big Thing, one of Berlin’s most famous IoT incubators. They are located at the Factory workspace where creative companies like Google and TechStars are based. At lunch time, things got serious. 5 potential investors arrived at our lunch table to listen to their pitches. Signals VC, Redstone Digital, Target Ventures, Intel Capital and Kompass Digital all signed up for a VC lunch with our delegation. We must admit this concept was spot on! During a couple of hours, our startups had the chance to pitch their offering, explain their business models and inform the VC’s about their future plans. The startups were very prepared and knew which VC was of most interest to them. Afterwards, they really appreciated the qualitative speed dating and the very efficient conversations they had with the potential investors. We completed the day with Thomas Waldmann, startup and Venture Manager at Würth Elektronik Group. This meeting was a radically different to the previous visits. 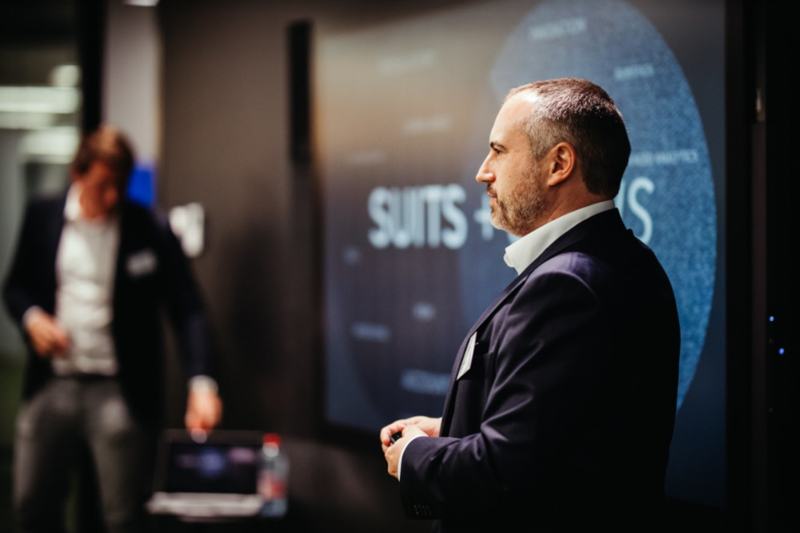 Würth is a family business that has grown into a big corporation but realizes that collaboration with startups is necessary to keep up with the disruptive environment. Before we knew it, our last day in Berlin had arrived. No time to relax however… The delegation was expected at the EUREF campus, a symbol of the German’s energy revolution. The campus only houses companies that work on solutions in the fields of energy, sustainability, mobility and ecological innovation. We met with Jakob Muus, former Innovation Lead at Volkswagen and now proudly the founder of Tracks, an IoT solution for trucks. Next on the agenda was SAP. Our startups pitched their solutions to Marcel Krehbiel and Caecilia Cong Phuong, who are leading the SAP IoT Startup Accelerator. We couldn’t leave SAP without visiting the SAP Data kitchen for lunch. If you are in Berlin, this should be a must-visit on your list! After lunchtime, the group was invited at Innogy to connect and talk about potential collaborations. The Go Global Mission ended with the Berlin Startup Night, which was the perfect closing event to the successful mission! “I registered for the Go Global Mission because of the variety and quality of the program. This mission was organized at top level. The planning and the program were perfectly arranged so that we, the startups, could focus on doing business and learn from the people we met.”, explains Sylvie Desmet, FamilyEye Founder. We can look back with a lot of satisfaction to this unique Go Global Mission. The EYnovation™ team is happy to announce that real collaborations have been set up thanks to this trip! Specifically, we want to congratulate Sylvie Desmet from FamilyEye. As a prequel to this mission, she participated the EYnovation™ bootcamp Get Investor Ready. She pitched with passion and great eagerness to grow and got a first funding series as a result. When she was introduced to the Berlin ecosystem, she got surprised by the vast interest in her company by local VC’s, such as Kompass Digital who she met during the VC lunch. Before even leaving Berlin, she already got a follow-up conversation at Berlin Startup Night. Currently, she is still in negotiations with them for a deal that will include more than just an investment in FamilyEye. Last but not least, she travelled back to Berlin 2 weeks after the mission to start the acceleration program of Access2Europe! FamilyEye has been selected with 5 other international startups for an intense program that will get the startup up to speed to enter the European market. Even though she was initially participating just to get inspired, she went home with real big-impact leads that will take her startup FamilyEye to the next level. And that’s one of the reasons that we love our job! Special thanks to Maren Lesche, with whom we collaborated to realize this unforgettable Go Global Mission.